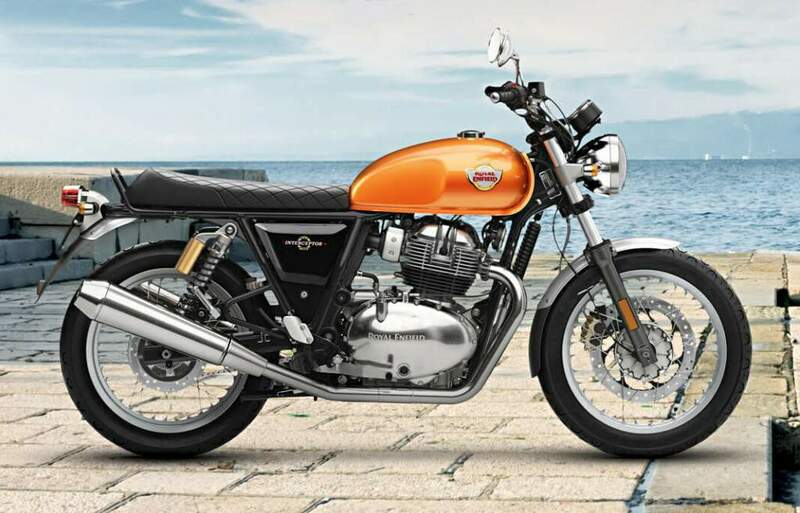 Royal Enfield introduced two new models at the 2018 EICMA Motor Show in Milan, the Interceptor INT 650 and Continental GT 650. The Eicher Motors Limited-owned brand developed a new engine platform for the two machines, an air/oil-cooled 648cc Parallel Twin capable of producing 47 horsepower and 38 lb-ft torque. 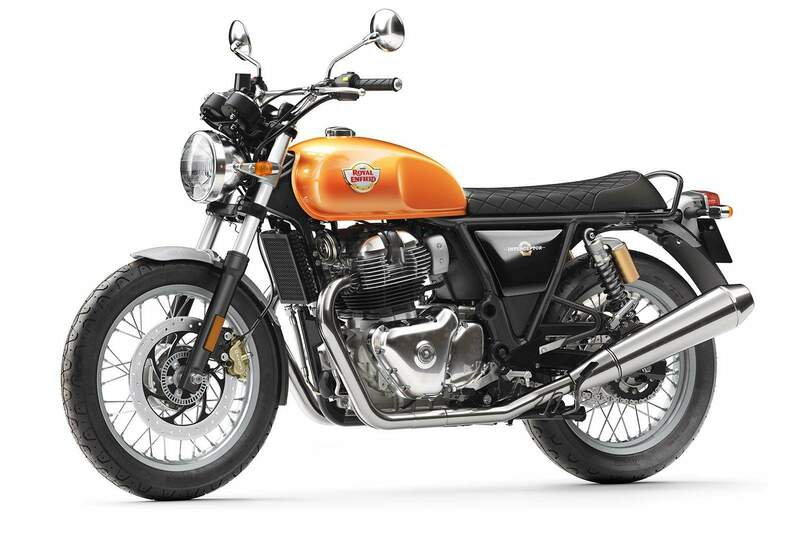 It’s the “first modern Royal Enfield…Parallel Twin engine,” as all of the brand’s other current motorcycles are Singles. Additional elements of the powerplant include a single-piece forged crank and 270-degree firing order along with Bosch fuel injection. The 648cc engine is the key to RE’s expansion plans, and was largely developed in England at the RE Technology Center in Leicestershire. Simon Warburton, Head of Product Development for Royal Enfield, spoke about the development of the mill in a company press release. 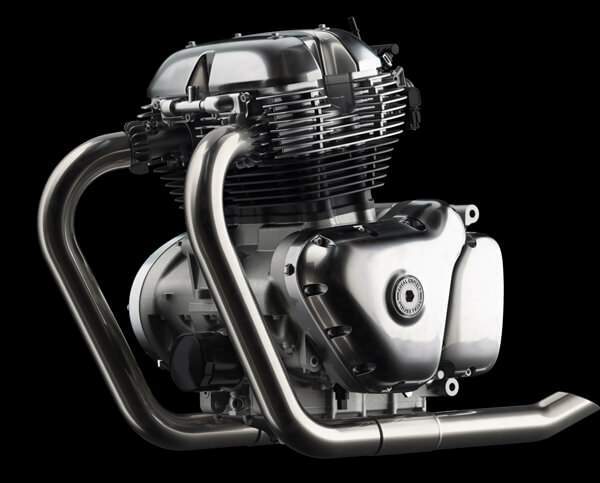 “The new 650 twin engine and the motorcycles have been developed at Royal Enfield’s new UK Technology Center with collaboration with the engineering and design teams in Chennai, India. The entire platform, including the engine and chassis, has undergone rigorous testing and validation process during the development program at world-class proving grounds with professional riders. It has been subjected to lab and bench tests, in addition to being tested on race tracks and public roads. The Interceptor INT 650 is the company’s interpretation of a ‘60’s era standard roadster. It’s got the tear-drop fuel tank, a steel-tube double cradle frame, relaxed ride position, tall, wide handlebars and an 18-inch front and rear spoke wheel set-up, each wrapped in Pirelli Phantom Sportscomp tires. Dual shocks out back (3.5 inches travel) and a 41mm telescopic fork (4.3 inches travel) soak up bumps and a single 320mm disc front and 240mm disc rear brake set-up work with ABS to bring the machine to a stop. A 31.5-inch seat will help to make the machine more appealing to shorter riders also. The Interceptor is unique in RE’s line too for its new six-speed gearbox and slip/assist clutch. It tips the scales, dry, at 445 pounds and carries 3.6-gallons of fuel. Here’s what Royal Enfield CEO Siddhartha Lal had to say about the bike in company press material. 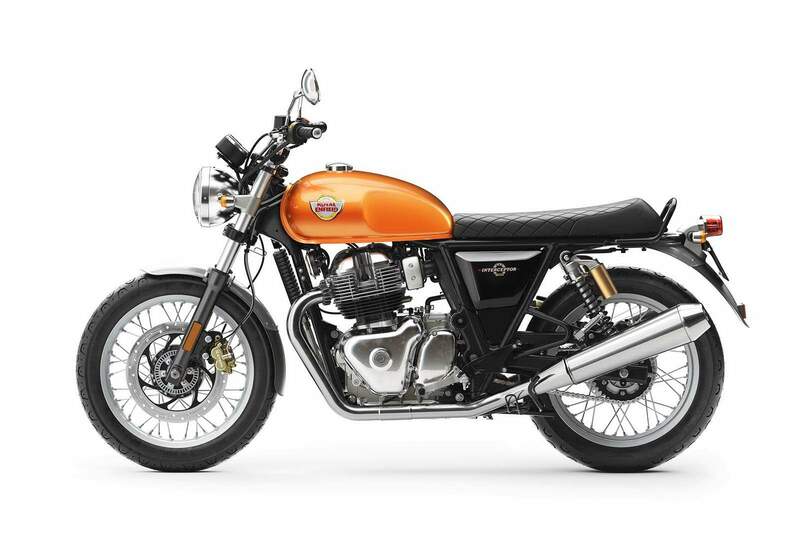 Royal Enfield’s Continental GT 650 sports café racer styling, complete with rear-sets and clip-on handlebars. The same engine, transmission, twin shock and fork set-up and braking package on the Interceptor are supplied on the Continental GT. It tips the scales without fluids at 437 pounds, has a 3.3-gallon fuel tank and 31.1 inch seat height (with the solo seat, the double seat raises seat height by a tenth of an inch). “The GT has been an iconic motorcycle in Royal Enfield’s portfolio. Since its launch in 2013, the Continental GT has helped the brand strengthen its position in mature motorcycle markets across the world. In its new avatar, the Continental GT 650 is the absolute definitive cafe racer that will be loved by discerning riders across the world. Both the Interceptor and Continental GT will be available in either Standard or Retro Custom styles, along with a variety of different colorways.